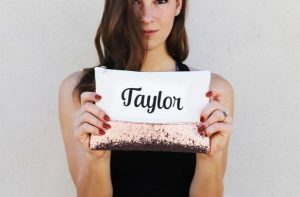 Personalized Glitter Clutch for just $7.99 !!! reg price $23 !!! 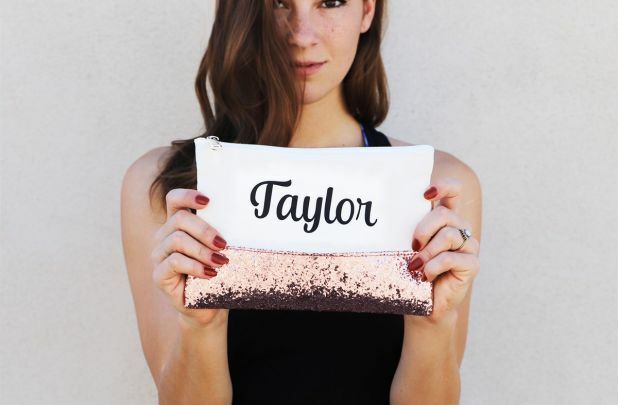 Grab a Cute , Personalized Glitter Clutch for just $7.99 !!! reg price $23 !!! Everyone needs a bit of glitter in their lives! This clutch is made of canvas fabric and glitter sequins for a super fun look. Available in 6 color choices, customized with your name. Makes great gift all year long! Magical Vacation Dolman Tees for just $13.99 !!! reg price $23 !! But First Tacos Tee are just $14.99 !!! Reg price $25 !!!! Spring Break – Beach Throw – only $24.99!! reg price $80!! Darling Pencil Skirt for $9.99 !! reg price $30 !! Ergobaby Black 180 Reversible Stroller for $199.99 !!! reg price $400 ! !